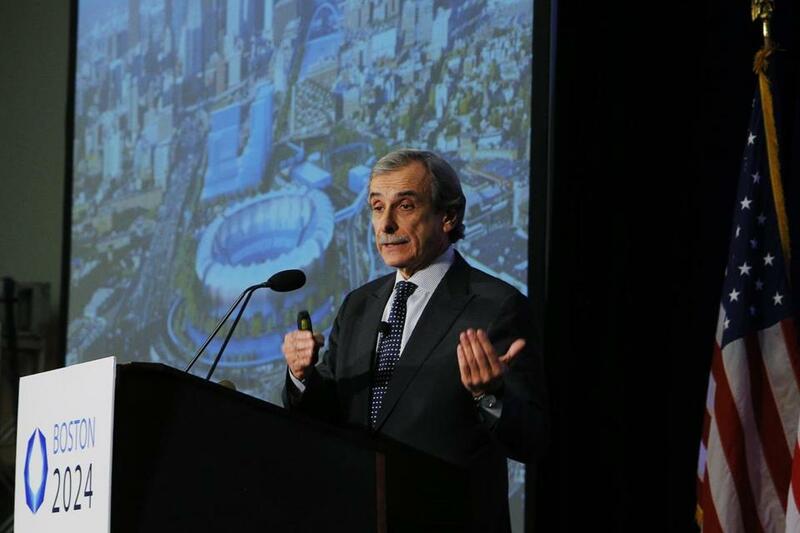 David Manfredi’s easygoing manner has made him one of Boston 2024’s top public speakers. The panel has a June 30 deadline to deliver a new venue plan for the Olympic’s bid. It seemed all of London was closed on Christmas Day when Boston architect David Manfredi, his wife, and three teenage stepdaughters taxied to Queen Elizabeth Olympic Park, where the family debated whether to climb the fence before finding an easier way inside to view the architecture of the 2012 Olympics. Two years later, Manfredi’s focus on Olympics facilities is much more than professional curiosity. He is an essential member — and a public face — of a planning team racing against a June 30 deadline to deliver a new venue plan for Boston’s bid for the 2024 Summer Games. With poll numbers unfavorable after a string of controversies, the bid committee’s fate — and the fate of the first US bid for the Games in four Olympic cycles — largely rests on the new plan, how it withstands public and expert scrutiny, and whether it excites the two politicians with the most say over the bid, Mayor Martin J. Walsh and Governor Charlie Baker. “It has benefitted enormously from time,” said Manfredi, a principal of Elkus Manfredi Architects, referring to the pending 2.0 plan, in development for months. 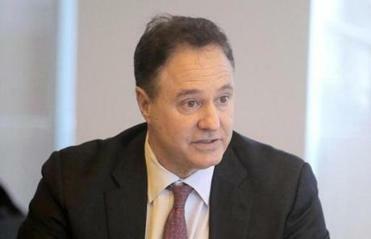 “You can never say the risk is zero,” said Steve Pagliuca, who took over leadership of the Olympic bid group in May. The 63-year-old architect was among the first professionals recruited to the Olympic effort in 2013 by Suffolk Construction chief John Fish, who led the bid committee until Bain Capital executive and Boston Celtics coowner Steve Pagliuca took over in May. 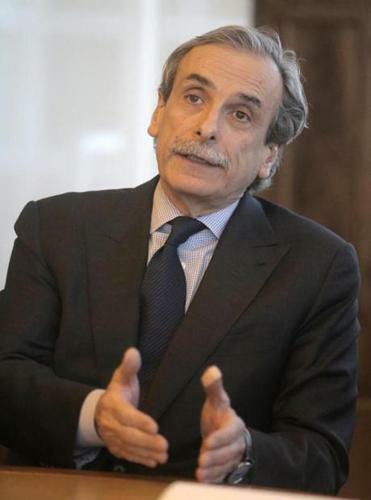 Manfredi’s easygoing manner made him one of Boston 2024’s better public speakers, often fielding hostile questions from Olympic skeptics and passionate opponents at community meetings. “The engagement with the community has been at times difficult,” Manfredi said in a recent interview. Residents were often frustrated that the committee did not have immediate answers at public meetings, but he said much of what Boston 2024 heard at those meetings is going into the new venue plan. In addition to Elkus Manfredi Architects, the 2024 design team includes the Boston architectural firm CBT and the transportation and civil engineering company Vanasse Hangen Brustlin. The team is working with Kevin Owens, lead architect for the London 2012 Games, from the British company WilsonOwensOwens Architects. Sports facility designer Populous, whose principals were formerly known as HOK Sports, is consulting on the plan. The firm designed the London Olympic stadium, as well a number of well-regarded ballparks in the United States, including Oriole Park at Camden Yards in Baltimore and, closer to home, Edward A. LeLacheur Park in Lowell, home of the Lowell Spinners. The Boston 2024 design team has been working to validate that the two most challenging facilities, the Olympic stadium, planned for Widett Circle, and the athlete’s village, proposed for land owned by University of Massachusetts Boston, will work at those sites, he said. “The engagement with the community has been at times difficult,” acknowledged David Manfredi, who has taken on a public role in the Boston 2024 bid. The new plan will reflect changes in venue locations — beach volleyball will no longer be proposed for Boston Common, for instance, because of public opposition, the bid committee has confirmed. In some cases the new plan will maintain original venues locations but change the sports they would host, he said. Already, the committee has announced new locations for sailing and tennis. Manfredi grew up a big sports fan near Hartford. With a little prodding, he confesses to supporting the New York Yankees. “My father started bringing me to Yankee Stadium when I was 4 years old,” he said, by way of explanation. Manfredi is also a Red Sox season ticket holder who often walks to Fenway Park from his home in the South End. The firm Manfredi founded in 1988 with Howard Elkus now employs about 300 people and ranks first in Massachusetts in total billings, according to the 2014 Boston Business Journal listings. It almost never came to be. Manfredi had lined up a career as a literature professor, after earning a graduate degree in English from the University of Chicago. Nagging career doubts led him to try a semester in architectural school, as sort of a test. Within a month Manfredi was sure he would be an architect. Elkus Manfredi’s projects include Liberty Wharf in the Seaport; Longwood Center, nearly finished at the corner of Longwood and Brookline avenues, which will be largely occupied by Dana Farber; graduate housing at Harvard University; and the New Balance headquarters in Brighton, where a second building under construction will include a practice rink for the Boston Bruins. The firm worked with the Green Bay Packers on a renovation of Lambeau Field and designed Las Vegas City Hall as well as major projects in California. While not generally known for envelope-pushing design, Elkus Manfredi has become a “go-to firm for Boston developers,” said Alex Krieger, a professor focused on the practice of urban design at the Harvard University Graduate School of Design. He has known Manfredi about 15 years. “David is loved by his clients . . . He comes off as very sensible and down to earth and reasonable, and not esoteric or any of the negative words you hear sometimes about star architects,” he said. He says he is a believer in the potential benefits of a Boston Olympics and the planning that goes with it, despite the noisy public debate and the criticism the bid has taken since the US Olympic Committee chose Boston as its bid city in January. The bid committee has promised to release the new venue plan by the end of this month.